Wedding Bands are a must for your wedding day. There are many other materials besides the traditional gold for your rings. 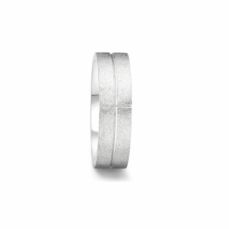 The steel can be a very good choice for couples who are looking for a cheap and modern wedding bands. In this section of the online store you will find our selection of steel rings, with original designs, of the prestigious brand Teno. For any further information do not hesitate to call us or send an email.